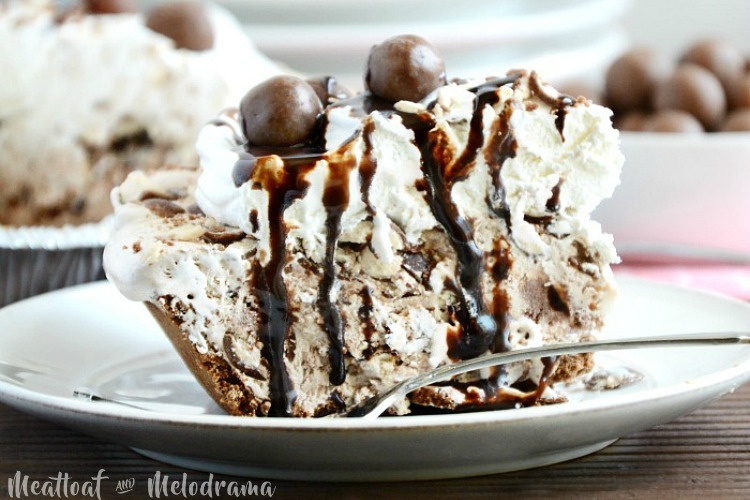 This delicious Frozen Malt Shop Whoppers Pie is cool, creamy and loaded with ice cream and malted milk candy. 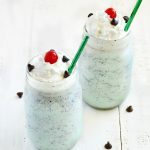 You’ll love this easy-to-make dessert! Is it too early in the year to be thinking about ice cream and other frozen desserts? I hope not, because personally, I could eat ice cream all year round! And I’ve been feeling kind of down lately, which makes me want to focus on happy thoughts. And happy thoughts include ice cream. I mean, you really can’t feel bad when you’re eating ice cream, especially when it’s part of an extra special dessert! I made this ice cream pie last year to celebrate the end of the school year and the start of a fun summer, and it originally appeared over at Somewhat Simple. 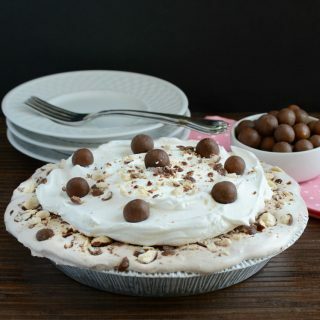 But since the kids only have about three more months left of school, and spring break is around the corner, this frozen malt shop Whoppers pie is calling my name! Besides, I’ve been super good about eating healthy, so yes, I can do this and not feel guilty! I got the idea for this ice cream pie recipe on the back of a carton of Whoppers candy — imagine that! Well actually, the kids suggested it, but this frozen dessert sounded so good that I just had to try it. It’s also super easy to make. As usual, I made a few changes to the original recipe. I can’t help it, and I do this all the time — do you? Anyway, I mixed equal parts of chocolate and vanilla ice cream together. I also used a chocolate graham cracker crust instead of regular because the more chocolate, the merrier, right?! Chocolate and vanilla ice cream plus malted milk candy are mixed with whipped topping and loaded into a chocolate graham cracker crust. 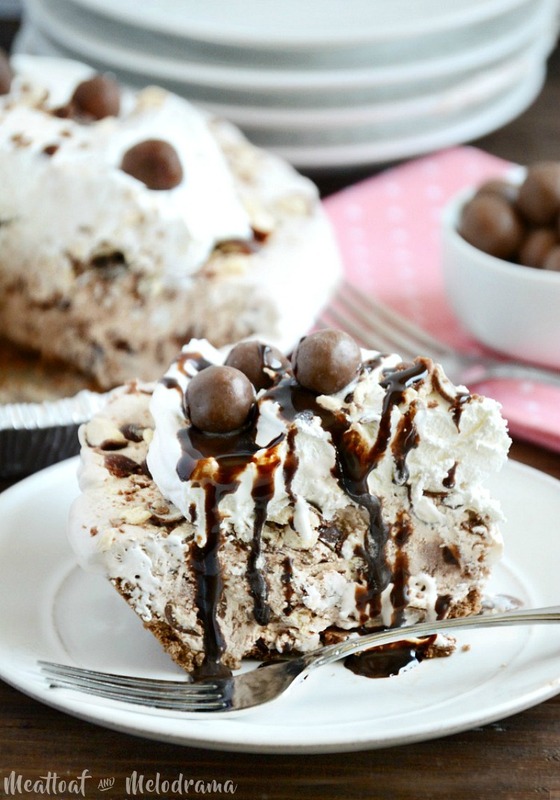 This easy no bake ice cream pie is perfect for Valentine's Day, Pi Day or any occasion! Top with second cup of crushed candy. Place into freezer for at least 4 hours or until very firm. 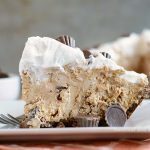 Spread additional whipped topping or whipped cream over the pie and top with chocolate syrup, remaining crushed candy and additional whole candy pieces, if desired. 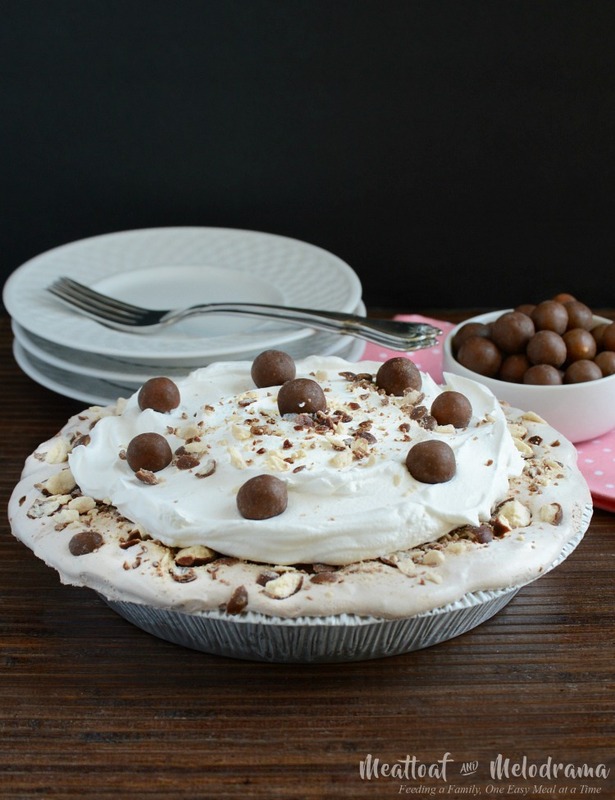 This frozen malt shop Whoppers pie is the perfect dessert to make for Pi Day, Valentine’s Day or any occasion. You really don’t need a reason to enjoy a delicious dessert! 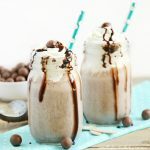 In fact, if you really love malted milk candy, you might also like this Whoppers Malted Milkshake. Have a sweet day, friends! I wish I had a slice of this! Amazing! Haha I was just thinking yesterday that I should make some ice cream and thought is it too early?! Now that I see this I’m thinking NOPE, never too early! This looks wonderful! There’s never a bad time to eat ice cream! And this pie just looks like perfection! YUM. Oooo! I would love a slice of this pie right now. I love Whoppers! My husband loves Whoppers! This would be an amazing pie to make for him! I can’t stop drooling! 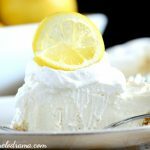 This pie is going on my must make list immediately! It’s never too early to be thinking about ice cream! haha I love ice cream and frozen desserts all year long! Love the pie! Perfect for Valentines day! Your recipe is featured on Full Plate Thursday! Hope you enjoy your new Red Plate and a great week. Thanks so much for sharing with us and come back real soon!